Planning to move? You must be stressed about how you’re effectively going to manage it. But when you hire a moving company, you won't have to stress, because your move is going to be made so much faster and easier. Why should you hire Local Moving LLC among all the moving companies in Highlands Ranch? You are going to save time! You are going to benefit from quality packing! And you have assurance of security and insurance! Based in Denver and serving the entire surrounding area including Highlands Ranch, Local Moving LLC is a fully insured and bonded moving service. 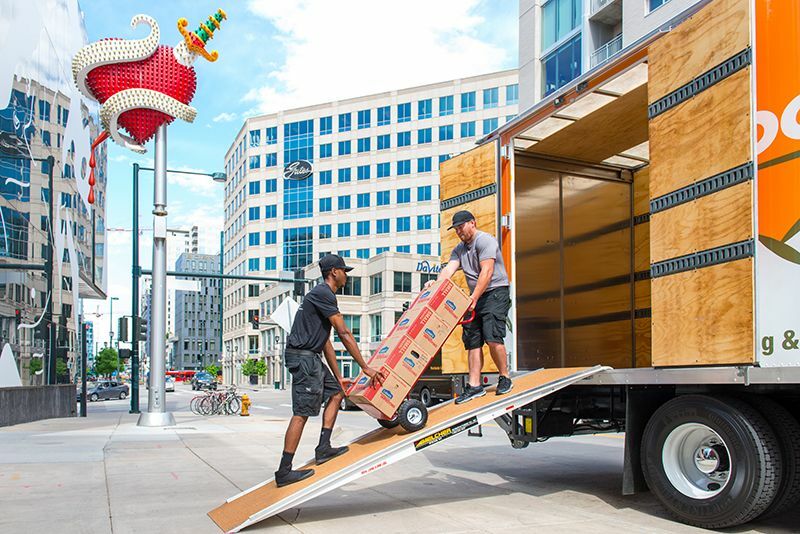 The company has a team of professional and experienced movers that will help you conveniently relocate from your current residential or commercial place to another. With several years of experience--since 2008--our moving company has established a reputation for timelines, fair pricing, amazing service, and friendliness. Yes, we listen and carry out what you want done. Do you need help with packing? We've got you covered at a reasonable cost. At Local Moving LLC, we ensure that your moving requirements are immediately and effectively taken care of. We value our customers since we know that the customer is always the king. Therefore, your needs are our highest priority. We also know that moving is always physically and emotionally stressful. It’s a time-consuming task. But here, our responsibility is to ensure our esteemed clients do not have a hard time and nasty experience when moving. You just trust the logistics and heavy lifting of your move to the team of our highly-trained professional moving guys. You can sit back and relax, knowing that each and every detail of the task is going to be efficiently handled. So are you moving to another neighborhood, across the street or you are moving across the state? Take it easy. We are going to take time to understand the particular ways we are going to be the best service for whatever you need, be it down the street or across the country. The one discernible advantage we have over our competition is that we communicate. Maybe that's why our customers give us so many 5-star reviews on Google, Yelp, Angie's, BBB, etc. We take time to listen and take suggestions. Immediately when you contact us, you will discover that our unique approach is quite different from other movers found in Denver. Our customer service is unparalleled. Over the years, we have come to be aware that for a job to be not only done well, but seen to be done well, you must listen and pay attention to each customer’s unique concerns and requirements. We have learned that taking time to carefully plan out a task eventually leads to a much more smooth and easier experience on moving day. Provide you with reliable and informed suggestions tailored to your specific requirements. Speedily deliver a quote that far exceeds the value provided by other movers in Highlands Ranch/Denver area. Make sure you possess all the needed right packing materials and moving equipment. At Local Moving LLC, we pride ourselves in providing our clients with the best customer service. This has endeared us to them, and made us the most requested and sought after moving service in the whole Denver and North Central Colorado. Just give us a call today for a guaranteed exciting moving experience.